Coding Horror belongs to one of the best dev blogs out there, in my opinion. Likely because it belongs to the guy that made Stack Overflow: Jeff Atwood. 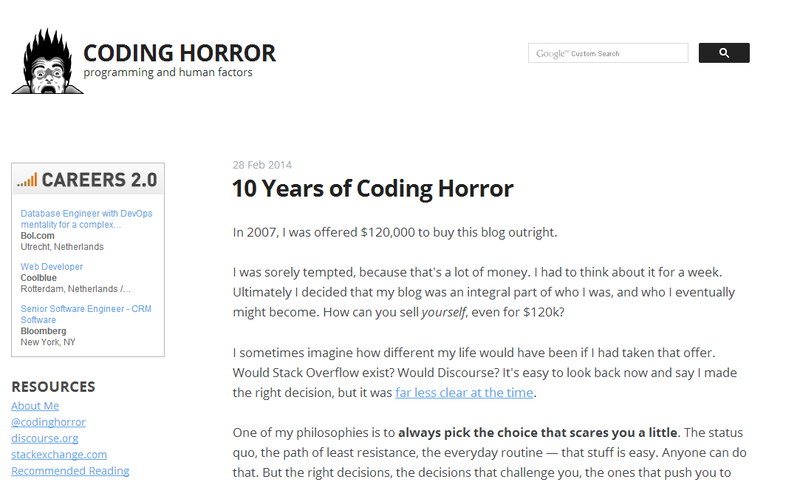 He's celebrating the 10th anniversary of his blog: http://blog.codinghorror.com/10-years-of-coding-horror/. Congrats!